Weddings are ordinarily celebrated on Saturday afternoons at 1 p.m. and 3 p.m. Couples planning to get married should contact our pastor, Father Wayne F. Watts, at least six months in advance and make an appointment to discuss the requirements, set a wedding date and begin the marriage preparation process. Father Wayne can be reached at [email protected] or by calling the parish office at 773-486-4300. Download our Wedding Guidelines which will help you begin preparing as a couple for the Sacrament of Marriage. 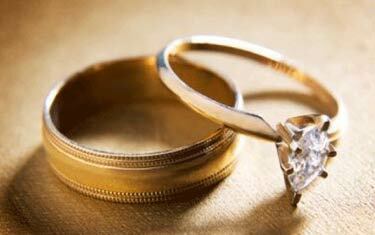 St. John Berchmans offers Marriage Preparation seminars (PreCana) twice per year (spring and fall). This four-week workshop will provide you with a comprehensive appreciation and knowledge of the Vocation and Sacrament of Matrimony. Our goal is to present both the theology and the practical “tools” of Christian Marriage so you will come to a deeper understanding of how marriage is a participation in the life together here on earth. Download our PreCana flyer which includes dates, times, and fee information. Please call the parish office at 773-486-4300 with questions. 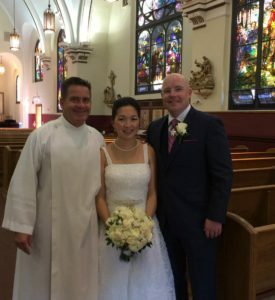 Saint John Berchmans offers Marriage Preparation seminars (PreCana) twice per year. This seminar provides an all-inclusive and comprehensive appreciation and knowledge of the Vocation and Sacrament of Matrimony. Our goal is to present both the theology and the practical “tools” of Catholic Marriage so that couples reach a deeper understanding of how marriage is a participation in life together here on earth. Each seminar consists of four sessions. The first three sessions take place on Monday evenings and the last session takes place on a Sunday afternoon. Couples are expected to attend all four sessions in order to fulfill the PreCana requirement. Married couples facilitate each session and share their wisdom, their struggles, and their love with engaged couples. Consider facilitating PreCana with your husband or wife!